Look. I write this article to find the fun and quirky cult films, I’m talking the b-movies and silly romps. This is not that. At all. After this, I needed someone to come give me a hug. 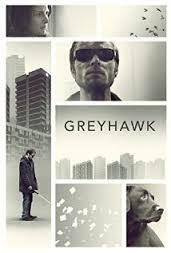 GREYHAWK tells the story of Mal, an angry and lonely blind man living on a run-down estate when his beloved guide-dog goes missing. And so the sense of dread begins. We really feel the sense of isolation that Mal has without his dog. But there are two stand-out stars to this film. Firstly Alec Newman as Mal is a tour de force performance, alternating between the fire of his rage and the sorrow of his isolation. He owns this film and rightly so. Secondly, the sound design must get all the accolades. With Mal as our ‘camera’ onto this world, the sound design works as his would, telling us more of the story than the pictures ever could. Add to that the tendency to save colour in the film for the scenes where sound is louder, and you get audio-visual narrative amongst the angst. A brilliant film, tense and uplifting at the same time. 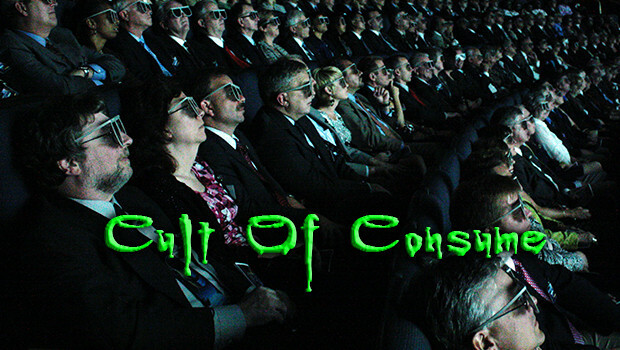 Really, this is a bumper month for CultOfConsume. SPRING tells the story of a recently orphaned American tourist ending up in a italian town, falls in love with a girl. Who might not be a girl, might be a dark monster from the dawn of time. Y’know, the usual. SPRING is entirely unlike any other films I’ve seen in an age. Part indie-romance, part body-horror, part science treatise, it’s closest DNA partner is PRIMER but at the complete opposite end of the narrative spectrum, PRIMER for horror fans if you will. 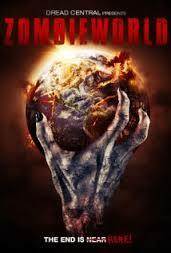 Essentially this is a two-hander, Nadia Nilker and Lou Taylor Pucci are both on excellent form, with the romance and horror both equally believable and extra mention must got the effects guys, for making the transformations realistic as well as horrific, shocking as well as funny. See it, it will be like nothing else you’ll see this year. Picture the scene, the Baskervilles are celebrating and decide to go stalk and murder a young woman on the Moors. As you do. 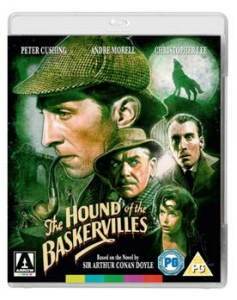 The film is based around a curse on the Baskerville bloodline where each male heir will be torn to shreds by a murderess hound. As with a lot of films of this era, the first hour is a little slow as only small pieces of information come to light, to the point where I questioned if the hound was real or not. Finally Sherlock Holmes arrives about an hour into the film,which gave the film it’s most needed boost. As the film comes to inevitable the climatic scene, a long lost heir to the Baskerville fortune is revealed to be a lowly stable hand with one webbed hand and we fianlly get to see the hound! A great dane wearing a mask. Brilliant. Despite the fear that alls this build has resulted in a big dog with some fake teeth and hair, Holmes reveals it is just a regular dog which has been starved and given the scent of its next kill by the stable hand. Justice was achieved and Christopher Lee survived, like the vampire he is. Now this is what I’m talking about. A healthy slice of the ol’ ultra violence and gore. There are some definite stand-out shorts. Early on, we get a film in which Jesus botches the resurrection of Lazarus and gives rise to a collection of Zombie cowboys, which he then dispatches with his powers of fish multiplicity. Seeing the Son of God rip off a woman’s face with a sawfish is a mental image that will certainly stick with me. Elsewhere a film shot entirely in first-person perspective is a adrenalin fuelled five minutes and the final tale of a man just wanting a quiet day at the beach is equal parts funny and horrific. But with this good comes the bad. Some of the shorts fall flat, especially one about a man being sucked into a video game, one told entire in the form of CCTV, or one that is essentially a monologue from an unlikeable English man. But overall, this film is worthy checking out. It is certainly the most fun film this month, with many of the shorts showing heart as well as storytelling chops. A good fun slice of that violence and gore….